You rely on your vehicle every day. From running errands to driving to work, you need protection you can trust. With Aviva Traders, you will enjoy the standard features of your auto insurance policy and can choose from optional benefits and discounts tailored to your unique needs. Qualifying OAHI Members receive a preferred premium 10% below the regular market rate. 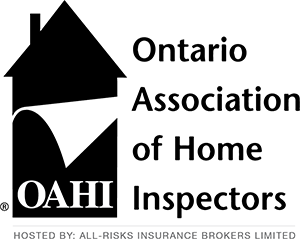 OAHI Members receive exceptional savings, reliable coverage, and home insurance the way you want it. Our property insurance programs provide coverage for Homeowner’s, Tenants and Condominium owners. As an owner or a renter, you want to make sure your belongings are protected. Replacing items like your bed, bike or computer can really add up, especially if you need to replace everything you own at the same time. Relax with property insurance coverage from Aviva. You’ll get the coverage you need for the things that matter most to you. We also provide coverage for cottages, rental properties, scheduled articles, and boats. We offer Guaranteed Replacement Cost on buildings, which ensures that the necessary funds will be there to rebuild a home even if the full reconstruction cost should exceed the limit of the policy. Single Limit Policies: Our homeowners’ policies are not limited to separate amounts of coverage; instead a lump sum is available to distribute as required.